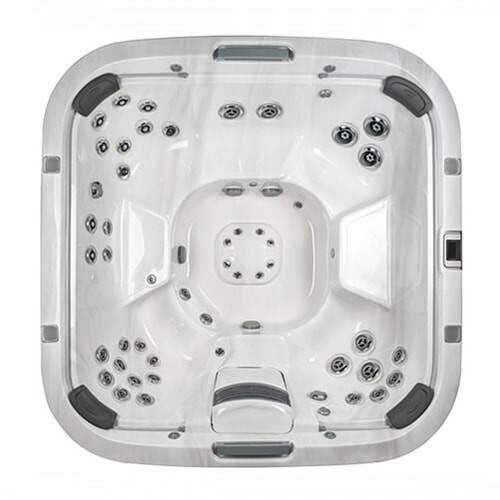 Structure J-500 spas are warranted against water loss due to defects in the spa shell for ten years from the original date of purchase. J-500 spas are warranted against blistering, cracking, or delaminating of the interior surface of the spa shell for seven years from the original date of purchase. J-500 electrical equipment components – specifically limited to the pumps, heater, and control system – are warranted against malfunctions due to defects in workmanship or materials for five years from the original date of purchase. J-500 plumbing components are warranted against leaks due to defects in workmanship or materials for five years from the original date of purchase. J-500 spas’ CurvaLux™ cabinets are warranted against defects in workmanship or materials for five years from the original date of purchase. Normal wear and weathering of the finish will occur naturally over time, and are not defects.The CurvaLux™ cabinet mounting hardware is warranted against defects in workmanship or materials for two years from the original date of purchase. The fuses, headrest, cabinet finish, filters and filter canister are warranted to be free of defects in workmanship or materials at the time of delivery. The factory installed CLEARRAY® Water Purification system is warranted against malfunction due to defects in workmanship or materials for one year from the original date of purchase, except the UV-C bulb and quartz tube. The UV-C bulb and quartz tube are warranted for ninety (90) days from the original date of the spa purchase. All stereo related components (receiver, speakers, subwoofer, power supply, etc.) are warranted against malfunction due to defects in workmanship or materials for one year from the original date of purchase. The factory installed Remote Monitor hardware is warranted against malfunction due to defects in workmanship or materials for one year from the original date of spa purchase. All other factory installed components not mentioned specifically, including, but not limited to the wood frame, jets, diverter valves, all ProEdge™ LED lighting system components, filter shield, and mechanical components are warranted against malfunctions due to defects in workmanship or materials for two years from the original date of purchase. 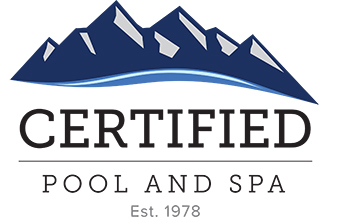 This Limited Warranty is void if Jacuzzi Hot Tubs (“Manufacturer” or “Jacuzzi”) or its designated representative determines that the spa has been subjected to damage or failure due to installation of aftermarket parts that are not Genuine Jacuzzi® branded Parts & Accessories. This disclaimer includes, but is not limited to filters, UV-C bulbs, ozone systems, repair parts and other accessories. Genuine Jacuzzi® brand Parts & Accessories are buit to our highest standards of quality, durability and performance, and they are designed to work with your Spa to ensure optimal performance and function.